A Graduate form St Xavier’s College, Calcutta, Dilip Bobb was part of the team that launched India Today in the late seventies. He went on to become the Managing Editor of the magazine and covered major events in India and abroad for it. Ending his long innings at India Today in 2010, he joined the Indian Express as Group Editor, Features and Special Projects. Bobb now holds a senior position at NDTV. 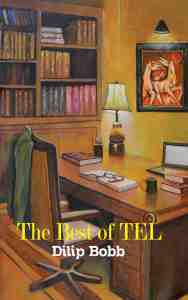 Be the first to review “The Best of TEL by Dilip Bobb” Click here to cancel reply.